"I find this CD an invaluable aid to mental and physical relaxation at any time of the day." "As a carer, I seem to suffer from quite a lot of stress… I have been listening to the CD every night for the last week…I appear to be developing an inner calm, that seems to be building every day." "I find that listening to David Uri’s relaxation CD is most helpful. His melodic voice and presentation quickly calms my mind and soothes my tremors." 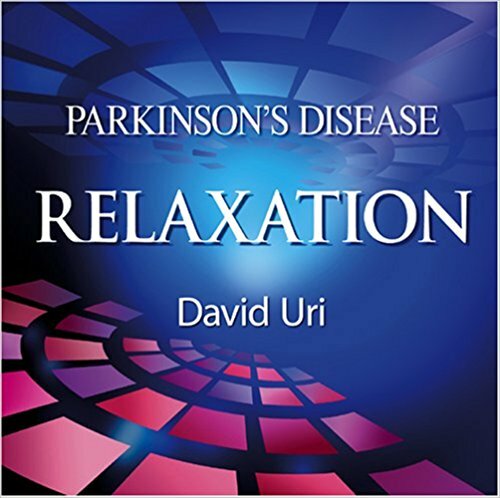 This recording, by hypnotherapist and psychotherapist David Uri, provides a method for people with Parkinson’s Disease which aims to relieve stress and facilitate relaxation. A Fellow of the Royal Society of Medicine in London, UK, David Uri works within a multi-disciplinary Parkinson’s Disease management team. His work plays an invaluable role in the stress management and emotional support of Parkinson’s Disease sufferers, their caregivers and families. He also teaches and lectures internationally. Most Parkinson’s Disease patients find that stress makes their symptoms worse. This is because the body releases adrenaline in response to stress. Adrenaline is made (metabolised) from the body’s store of dopamine. Dopamine deficiency is the core factor in Parkinson’s Disease. It therefore follows that regular use of an applied stress-management technique (such as that provided by this recording) is of vital importance in the control of symptoms. This CD should be used alongside any recommended medical treatment. Carers have found that using the CD for themselves provides general relief from stress, improves sleep quality and may reduce insomnia. “Parkinson’s Disease Relaxation” (CD) does not replace the appropriate therapy recommended by the healthcare advisors of individual patients or caregivers. As such, David Uri, as well as the producer, the recording team and others associated with this production, cannot accept liability for any problems arising directly or indirectly from the application of the recommendations presented on this CD. Do not listen to this recording whilst doing something requiring your attention and concentration – for example when driving, walking, cooking or operating machinery.